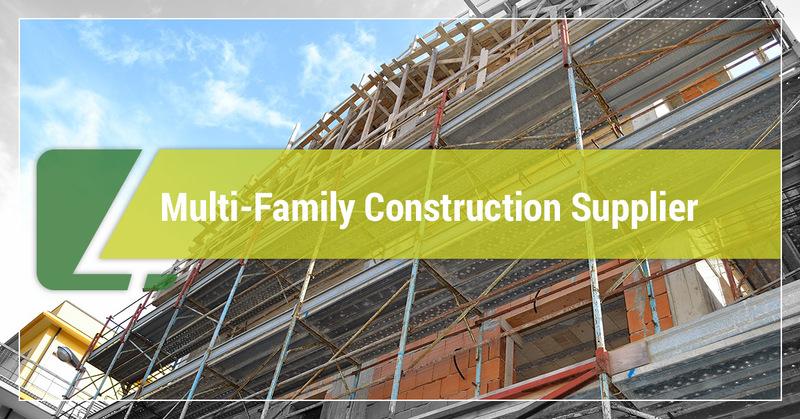 Multi-Family Construction Supplier - Learn More | Idaho Pacific Lumber Company, Inc.
Idaho Pacific Lumber Company (IdaPac) is proud to be a leading supplier of building materials to multi-family construction companies throughout the United States. 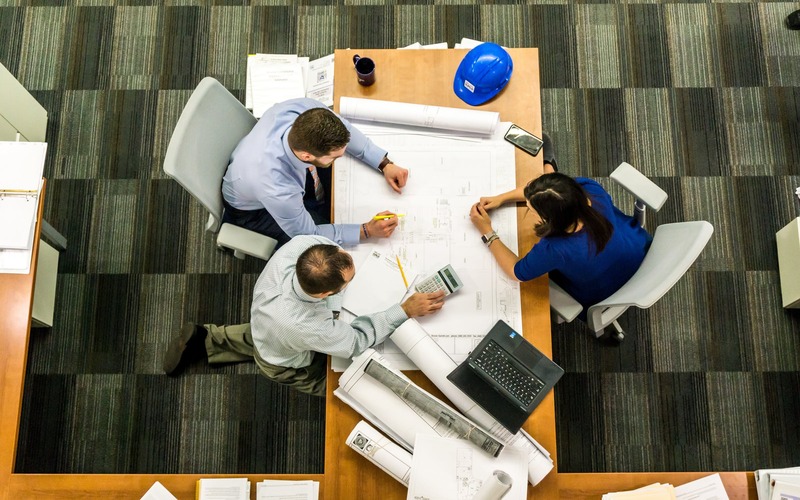 Whether you’re constructing a multi-family residential property or a large commercial project, we can help you find an affordable and reliable option for your building material purchase orders. We work with an impressive network of lumber and panel mills, EWP manufacturers, national distributors and wholesalers, and the top manufacturers of doors, cabinets, and millwork, making us the trusted source for all of your project needs. Since 1979, we’ve been supplying the U.S. construction industry with the best supplier services at the most competitive prices. At IdaPac, we pride ourselves on providing builders and manufacturers with the best construction materials on the market. 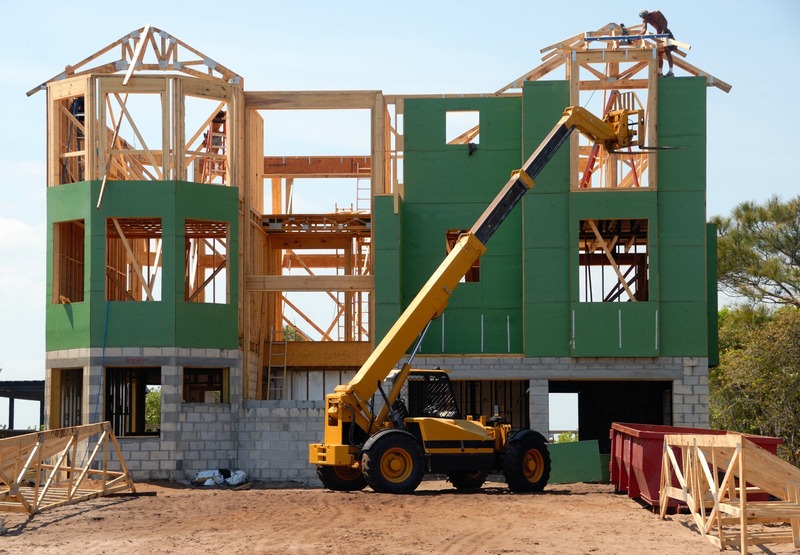 If you need lumber for your multi-family construction project, there are two main types of lumber to consider: softwood and hardwood lumber. 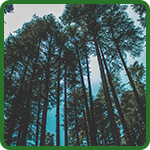 One of the country’s finest building lumber is douglas fir. This type of wood is mostly known for its natural attributes. Multi-family residential properties love to build with this lumber because it is strong, beautiful, and durable. At Idaho Pacific Lumber Company, we’ve supplied fir wood to a wide range for commercial and industrial applications. 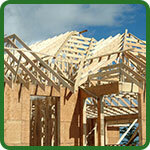 This type of lumber is used extensively in home construction projects across the United States. Called the strongest, most versatile wood species, it is the ideal wood choice for building professionals. Industry experts say that this wood’s density makes it the strongest softwood structural lumber species. 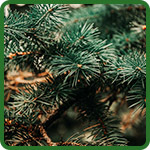 Spruce Pine Fir or SPF refers to a group of Canadian softwoods that have similar characteristics (spruce, pine, and fir). It is often used to make dimensional lumber for building homes and is known for its light weight, strength, and durability. 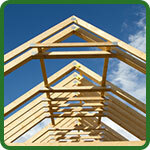 You can use SPF for wall framing, roof trusses, floor joists, and beams. Cedar is a favorite type of wood among construction workers, and for good reason. Unlike other softwoods, cedar will not change in size or dimension with the weather or humidity. 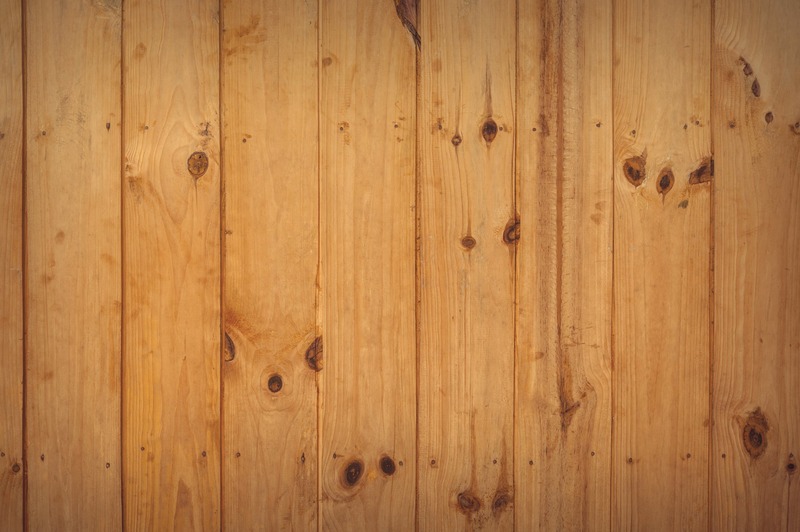 Since you don’t have to worry about cedar lumber warping, it makes a perfect option for house siding, but it can also be used for decking, fencing, shingles, blinds, and shutters. Moisture content – The moisture content of the lumber you choose will have a great impact on your build. For example, if you use damp or wet wood in your multi-family construction project, there’s a good chance that the lumber will shrink. This can lead to gaps in your woodwork and even squeaky floors. There are two main types of moisture grades to look out for, and you’ll almost always find these as stamps on the wood. Lumber grade – The National Hardwood Lumber Association (NHLA) has created rules to provide the construction industry with a mathematically measurable method to grade lumber based on the amount of clear, defect-free wood found in each piece. Species of wood – The species of wood you choose to use for your construction project is very important to the success of your build. The wood species of a piece of lumber can give you insight on characteristics of that specific tree. Laminated veneer lumber – Also called LVL, laminated veneer lumber is a favorite among construction workers for a variety of reasons. Made from sheets of wood that have been glued together, this type of lumber is known for its strength. Many builders will use LVL for beams and other structural components. Oriented strand board – Known as OSB, oriented strand board is another common engineered wood that you can find in multi-residential construction projects. According to The National Hardwood Association, OSB is an engineered wood panel that shares many of the strength and performance characteristics of plywood. OSB panels can be used for building single-layer flooring, wall and roof sheathing, and more. If your multi-residential construction project requires the use of wood siding materials, Idaho Pacific Lumber Company can help you find the best lumber for your budget. Wood siding is available in a variety of types and styles, and this material can take the form of plywood, wood shingles, and linear boards. Let’s take a look at some common wood siding materials for your next construction project. Fiber Cement Siding – If you’re trying to find the best siding material for your residential project, we highly recommend looking into fiber cement siding. This is a resilient mix of wood pulp and cement is incredibly weather-resistant, especially when it comes to warping and rotting. An ideal consideration for tornado and hurricane-prone areas, one of the great things about this siding is that it requires little maintenance and upkeep. Engineered Wood Siding – Engineered wood siding is perfect for builders who want to provide the look of natural wood while eliminating its flaws. Engineered wood siding is made up of different wood pieces that have been coated with a resin binder and compressed to create a board of superior strength, durability, and performance. This type of siding is treated to protect against termites and rot. If you have any questions about engineered wood siding, contact our team today. At Idaho Pacific Lumber Company, we believe that high-quality lumber can mean the difference between a mediocre construction project and a world-class build. The type of lumber you choose for your multi-family residential home should not only be appealing and eye-catching, it should be functional and efficient. As you may already know, materials like metal change in size and volume as temperature and humidity starts to fluctuate. This unwanted expansion can have a negative impact on the materials, as they can weaken and eventually crack or break. When you use wood materials for your construction project, you don’t have to worry about it expanding with heat. In fact, when wood is exposed to sunlight and heat, it can actually strengthen the material instead. While wood tends to be a lightweight material, it’s strength is hard to beat. Its tensile strength (the ability to bend under a certain amount of pressure without breaking) also makes it the perfect choice for builders and construction workers. In addition to wood’s strength, it is also admired for its aesthetic properties. Since no two trees are alike, each piece of lumber your purchase will have its very own natural color and design. When it comes to your construction project, it’s important to work with a lumber company that offers reliable and affordable options for your budget. IdaPac works with a large and impressive network of lumber and panel mills, EWP manufacturers, national distributors and wholesalers, as well as some of the top manufacturers in doors, cabinets, and millwork. If you’re interested in learning more about our lumber supply company or you’re interested in learning more about our lumber and building materials, contact our friendly team today.